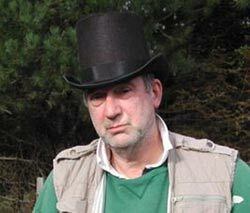 I am the historian of the train club here in Fort Bragg so you would think that I know a bit about the town as it was. Now, I confess I gave up drinking more years ago than I can remember so I have no real interest in bars. I do know though that there were a lot of bars and a lot of brothels in Fort Bragg “for the boys” when they came in from the woods. One, the Golden West, still exists just as it was back then. Based on the pic below the Log Cabin Bar was pretty well known/famous. Alas, until I saw the photo I had never heard of it. So, can anybody help me out with more info/history? 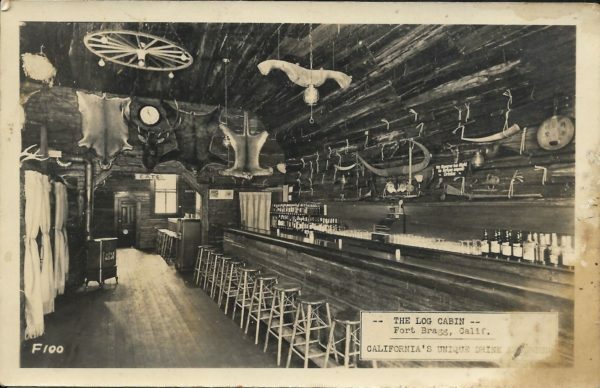 Interior of the Log Cabin Bar in Fort Bragg, CA. This entry was posted in Fort Bragg. Bookmark the permalink.